Polyacrylamide is simply called PAM, a water- soluble high flocculant polymer and widely used in oilfield ,petroleum, coal washery,paper-making, metallurgical, textile,sugar refing and environment protection fields. 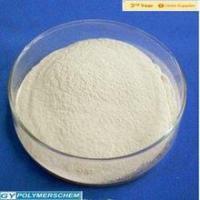 There are three categories of Anionic, Cationic and Nonionic type.It commonly known as flocculant or cohesion agent,subcation,aniontype,the molecular weight between 4-20 million, the product appearance is white or slightly yellow powder,soluble in water ,In particular ,acid and organic matter and the red mud suspension turbidity from flocculation sedimentation and separation of the role of liquid mud,use less,water and low cost ,flooulant can not be replaced by other products. SMP, a kind of sulfomethylated phenolic resin for deep well mud , is constituted of benzene rings (linked each other by methlene) with sulfonic functional group. 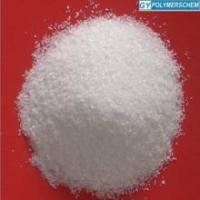 The sodium sulfonate is introduced at the orth- or para-position of O-OH group, which assign this product with good hydration ability and high association with water molecular. 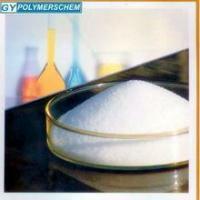 SMP is an efficient filtration loss reducer with good high temperature and chemical contamination resistance. 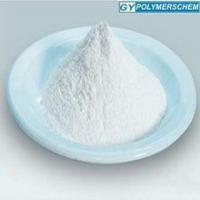 The product is of two types—SMP-1 for fresh or gentle brackish water system and SMP-2 for high salinity case. It is suitable for use in sloughing formations and formations with salt/gypsum, and can protect the reservoir and does no harm to environment. It is jointly used with sulfonated lignite, sulfonated tannin extract and lignite resin for water base drilling fluid systems and complex with. The recommended usage is in range of 2.0-3.0% . Zhengzhou Guangyang Environmental Protection Technology(Group) Co .,Ltd. is a technological leader in high molecular polymer chemical in manufacturing sales and technical services for the expanding oil drilling chemical,wastewater treatment industries, ,and super absorbent polymer. GY products dedicated to green energy, environmental protection, humane care in three aspects. Green energy, our company has extensive domestic and international oilfield cooperation to carry out the drilling mud and tertiary recovery projects, greatly enhancing oil recovery field, create more economic benefits. In environmental protection, dedicated to urban sewage and industrial wastewater treatment, saving more water, so that more companies cost savings. 2010 polymer in product development, successfully developed a super absorbent polymers, used in industry and agriculture. 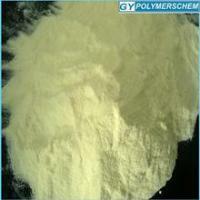 GY POLYMERSCHEM is a nationally recognized high-tech company that provides high- quality products and competitive pricing. Over the past 10 years, we have focused our efforts on improving our products through R&D and have won numerous awards as a result. We have always been prudent with respect to our business expansion over the years. In China, we are well entrenched in the large and expanding enhanced oil recovery industry. In addition, we have established a strong reputation in the Flocculant and Coagulating agent in the market for water treatment,and super absorbent polymer. GY Brand had obtained ISO9001: 2008 quality management system and was awarded AAA Credit Enterprise in banking system. 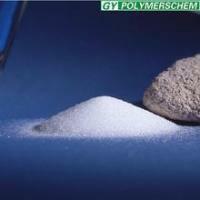 In 2009, GY-POLYMERSCHEM becomes SNF cooperation partner ,GY products have been sold and recognized both domestically and abroad. We are looking forward to cooperating closely with all the partners to expand our business for mutual benefits.,also hope to strengthen and stabilize the cooperation with our old and new friends to have more agents and distributors in the world markets.